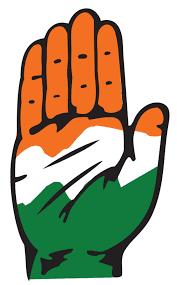 The results for the Assembly election 2016 in the states of Assam, Kerala, West Bengal, Tamil Nadu and Puducherry are not in the favor of Congress. As the trend is showing that Congress will lose hold of two big Indian states. First, it will lose Assam to BJP lead alliance and second, Left alliance will take over Kerala state. In other states too, the condition of Congress is not very good. Now, Congress needs to think that's why they are getting defeats after defeats. The main issue with Congress is lack of new faces. Congress party is still concentrated around few faces only and these faces are also losing shine with time. If Congress wants to regain its position, then it is very important for it to introspect and allow space for new leaders. Mamta Banerjee's Trinamool Congress (TMC) is all set to make second consecutive government in West Bengal through the landslide victory. As per the trends, TMC is going to win more than 200 seats in West Bengal, which is going to break its own record of 184 assembly seats in the 2011 assembly election. This time TMC has fought this election alone, unlike the last year tie-up with Congress. While Congress and Left parties combined their hands for the first time to defeat TMC; however, it looks that people have rejected this alliance. Congress somewhat looks to be retaining its ground, whereas Left parties are likely to perform poorer than the last assembly elections. These results show that people of West Bengal have again shown their faith in the leadership of Mamta Banerjee. BJP also puts all effort to win the West Bengal Assembly Election 2016; however, combined BJP alliance is likely to win less than 10 seats. At present Mamta Banerjee is the clear winner and she is the only leader who single handedly got a big success. These results are as per the exit poll predictions. With the end of Assembly elections in the states of Assam, Kerala, Tamil Nadu, West Bengal and Puducherry, we have some of the exit and opinion polls are available. Though, exit polls and opinion polls are not always right, however, we may get some clue of the upcoming results Assembly election results on 19th May, 2016. The results of Assembly election 2016 in the states of Assam, Kerala, Tamil Nadu, West Bengal and Puducherry will great effect on the political atmosphere in India. Through, these election results, we will come to know that whom people of these states are supporting. These results are very important for major political parties like Congress, BJP, Communist Parties, AIDMK, DMK, TMC etc. Below, I will give details of combined exit poll results each state wise. We combine all available exit poll results for the West Bengal, then we get no surprise as all the exit polls are predicting a win for Mamata Banerjee Trinamool Congress. As per the estimates, TMC may get 150 to 230 seats in West Bengal Assembly Election. These results will be a setback for the Congress and Left alliance in West Bengal, which is expected to get 40 to 100 seats combined. These exit polls are also set back for BJP as it is expected get 0 to 5 seats. Exit poll results for the Assam may bring cheer on the face of BJP leaders as BJP is expected to either emerge single largest political party or get a full majority in the state. BJP is expected to get 55 to 81 in Assam. This news is not good for Congress as it is expected to get 33 to 50 seats. AIUDF is expected to get 5 to 22 seats and another 5 to 16. The Role of AIUDF and others may become important, if BJP failed to majority in Assam. In Tamil Nadu, DMK+Congress alliance is expected to gain victory with 122-140 seats and AIADMK may get 80 to 100 seats. In Puducherry also DMK is likely to win 15-20 seats and AINRC 8-12. Yesterday, the election commission of India announced the dates of assembly elections in the state of West Bengal. These elections will be conducted in six phases to insure people vote freely. At present, Mamta Banerjee lead Trimool Congress (TMC) is in power from last five years. In 2011, she overthrow 34 years old rule of left parties from the West Bengal with a landslide victory of 227 seats. 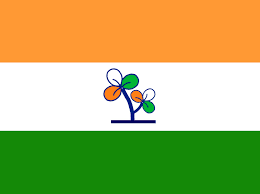 In the 2011 assembly election, TMC has an alliance with Congress; however, this time TMC has decided to go alone and already declared list of its candidates. There is a total of 294 assembly seats in West Bengal; therefore, any political alliance or party needs to win 148 seats to make next government in the state. The main fight in West Bengal Assembly election 2016 is between TMC, Congress, Left Parties (Communist Parties) and the BJP. So far, there is no news of any political alliance in the state and it looks that all political parties are going alone in this election. In the last assembly election of 2011, TMC won 184 assembly seats and it 2014 Loksabha election, it won 34 Loksabha seats out of 42 with Vote share of 39.3 %. At present Trimool Congress looks to be a strongest candidate among all political parties and some of opinion polls (including an Opinion poll of Aaj Tak), it is predicted that TMC will win these elections. The biggest rival of TMC is Communist parties which enjoyed a vote share of 23% in 2014 Loksabha election. BJP saw a major boost in its vote share in the 2014 Loksabha election and got 16.6% votes (+10.6%). BJP again looks for another miracle to win the West Bengal Assembly elections; however, it will not an easier job for BJP. Congress is now restricted to a small region of West Bengal and it is slowly losing its ground in West Bengal after the exit of Mamta Banerjee from Congress in 1997. In the present circumstances, the chances of TMC are very high in West Bengal. However, it is still to be seen what will the effect of recent communal violence and JNU incidence on the West Bengal election. Communist Parties and Congress can increase their chances in West Bengal, if they go far an alliance; however, so far, Communist parties have denied any such alliance. Only on 19th May, 2016 we will get to know about the mood of people in West Bengal, till then we can only speculate. In my opinion, TMC looks to have better chances; however, things can change with time. 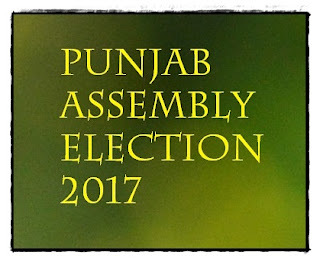 Punjab is going to the assembly polls in 2017 and this election's outcome will take who is going to form the next government in the Punjab. For the last two elections, BJP-SAD alliance has emerged as the winner by defeating Congress. So far, the election fight in Punjab has remained bi-polar with Congress at one side and BJP-SAD alliance at the other side. However, this Punjab is going to see a tri-angular fight because of the strong presence of the AAP in the state. In the 2014 Loksabha election, Punjab was the only state where the Aam Admi Party (AAP) won four Loksabha seats; though soon two of its MPs split away from the party. Despite this, it looks that AAP can give a good fight or at least spoil the dream of either party/alliance. Shiromani Akali Dal (SAD) and Bhartya Janta Party (BJP) alliance is likely to face strong anti-incumbency, which may go in the advantage of either Congress or AAP. Congress is an old political party and it has strong presence in Punjab. This party has given many Chief Ministers to the state. Few days, Manpreet Singh Badal (nephew of Chief Minister Parkash Singh Badal) merged his political party People's Party of Punjab (PPP) into the Congress. This move has given some strength to Congress party; however, in reality PPP don't enjoy much base in Punjab. When BJP and SAD come together, then, it became a winning combination because this alliance was able to appeal both Hindu and Sikh voters of Punjab who are in majority. Present Deputy Chief Minister of Punjab, Sukhbir Singh Badal said a few days back that he is confident of his alliance win 2017 too because of condition of Punjab has improved in their tenure. The main issues in Punjab are unemployment, poor infrastructure, corruption, drug abuse, sand mafia and involvement of names of political leaders in corruption. Due to these reasons, it is likely that the SAD-BJP will face strong anti-incumbency; however, it depends on them, how they tackle it. Both Congress and AAP are looking to get an advantage from the anti-incumbency against the present government. However, it is still not clear that who will get maximum benefit from it. The issue with Congress is that it lacks new faces and it is struggling with internal fights. Congress has a good presence in Punjab; however, it is somewhat disconnected with voters at the root level. On the other hand, AAP is working on the root level through their 1 Lakh plus volunteers. So far, it looks a tough tri-angular fight between BJP-SAD, Congress and AAP. Still, there is a one year time for this election and all parties have a good time to correct their issues. At this time, I see a tight fight between Congress and AAP with BJP-SAD is strongly flowing behind. Still, with one year for elections, many things can change and I will keep on updating on all these updates. In the year of 2017, Punjab will go for assembly election and elects its new government. For the last nine years BJP-SAD alliance is in power and they will like to win the 2017 Punjab Assembly again. However, on the ground situation is not so simple for SAD-BJP to make a hit trick in Punjab. This time Punjab will see a tri-angular fight between BJP-SAD, AAP and Congress. In Earlier assembly elections, It was a fight between BJP-SAD and Congress only. In the 2014 Loksaba election, AAP surprised many by winning 4 Loksaba seats. Punjab was the only state where AAP got any Loksaba seat. However, after the 2014 Loksabha election, many things have changed for AAP too. Recently, two of its MPs, and few leaders left APP thus making it weak in the state. Congress is one of the main contenders for power in Punjab and they are waiting for the last ten years to win back the Punjab assembly election. Congress, high-command has put its trust on their old and tested solider Amarinder Singh. He as remained Chief Minister of Punjab and he is very popular in Punjab. In Loksabha election 2014, he defeated BJP's top most leader Arun Jaitely. SAD and BJP depend on each other to win the Assembly election again in Punjab because both parties help the other party by increasing its vote share. SAD enjoys a good support among the Sikh voters, while BJP enjoys support base among the Hindu voters. When both these parties fight together, then they appeal to a large segment of voters in Punjab. However, this time this alliance will face anti-incumbency because of their ten year rule in the state. After the BJP's victory Haryana some of BJP leaders were so excited that the expressed hopes of fighting the Punjab Assembly election alone. However, after BJP's recent defeats, it is unlikely that the BJP will risk going alone for the Punjab Assembly election. Though, the elections in Punjab are one year away; however, all the political parties or alliances have started their poll campaigns so that they can attract more and more numbers of voters. Due to the tri-angular fight, the Punjab Assembly Election 2017 will present an exciting fight. The main election issues in Punjab will be unemployment, drug abuse, corruption, poverty, poor condition of farmers, the development of rural areas, Religious matters. At present all political parties are making tall claims to vow the voters. However, the final results will tell what the voters of Punjab think.